F9 is a contemporary accountants practice offering tax, accounting and advisory services to individuals and corporates. We work with contractors, sole traders and small to medium sized limited companies covering industries ranging from IT, banking and finance through to construction, project management and real estate. I help business owners save time and money on ensuring that their business profiles across social media are posting consistently and relevantly, to create buzz for their business and to generate enquiries. I have over seven years’ experience in social media management and I continue to keep up-to-date with the ever-changing algorithms (laws) behind each social media platform, to ensure that business pages reach the most amount of people. What works one day may not work the next, so it’s important to continue to keep educated about what works and what doesn’t work. Over this year too, I will start blogging on behalf of companies. I’m just working on examples of my work, in order to promote this, but hope to roll this out in Spring! I was recommended you by a friend, Khatija Karim. 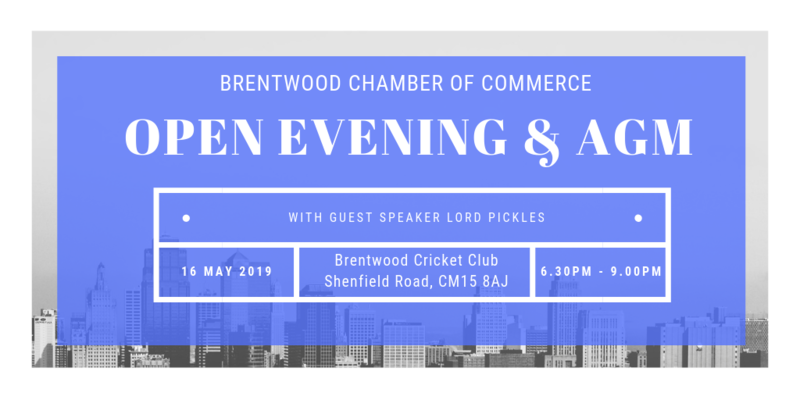 I have heard such great things about Brentwood Chamber and I’m hoping to join as somewhat a New Year’s resolution. Of course, joining networking groups helps to inevitably make money and gain business but, as someone who works on their own from home, it’s healthier for me to get out of my comfort zone – and what better way to do that than to help more local businesses in the process? I’m rather shy ‘in real life’ and believe that joining this networking group will help me come out of my shell a little more. FRP Advisory is a Brentwood based business, providing services for the people and businesses of Brentwood. We have had a presence in the Essex business community for over 30 years and have an excellent reputation for friendly, reliable and professional advice. We specialise in helping business owners deal with cash flow problems and to work towards a more positive outcome. With expert professional guidance and tailored advice, we can ‘hold the hands’ of business owners who may be going through dramatic events that are affecting their business lives – which can, in turn, affect their personal life. We have helped many local businesses restructure their balance sheet and start afresh, refinance, or simply deal with unexpected change. We provide a free initial meeting that allows business owners to make this transition safely. This, in turn, means they are able to concentrate on their business, rather than feeling like they are just “firefighting”. We are also able to advise individuals who are experiencing creditor pressure or facing financial uncertainty and your local contact for any situation is Paul Atkinson.